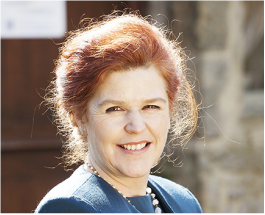 My job is to help businesses in the Dales and beyond to capture the interest of their customers. After years working in the publishing industry in editorial, circulation and advertising, I sidestepped over the fence into PR and marketing in 2000 and have been running Manifest Marketing ever since. I have a lovely garden office at home in Grassington, so I am right in the heart of the Dales. My coffee breaks are spent stopping to smell the roses and, well, not quite kissing, but visiting the frogs in the pond. Lunch features a walk to Lea Green with my dog. My job is always varied with many different clients, and because it’s about being creative and helping inspire others, it is very rewarding. Unlike most agencies we don’t mark-up services we arrange for our clients, or take commission, so when we project manage a brochure or arrange advertising space, for example, we are not making a profit on someone else’s labour. Instead, we simply charge for our time as professionals. With the contacts and expertise to do the job better than our clients can themselves, we write creative copy for advertising, websites, brochures and e-shots, and deliver effective PR articles and releases to get exposure for them in the media. If someone is feeling a little down and perhaps in need of a boost, where in the Yorkshire Dales do you suggest they should visit? You can’t beat a limestone pavement to gain a sense of perspective! Worn over millennia they really speak to me. There are some particularly impressive ones around Malham which are really awe inspiring, with smaller ones in the hills around Grassington. The ancient woodland of Grass Woods rolls into one for me; limestone pavements, escarpments, beautiful glades, birdsong, deer and the River Wharfe splashing over the rocks. It’s impossible not to connect with nature and feel its healing powers there. I’ve even been known to hug a tree for a pick me up – and it really works! 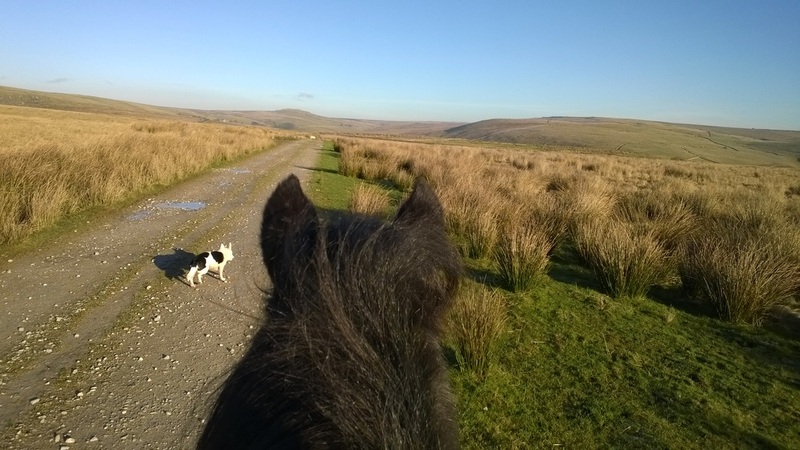 I love to ride my pony over the bridleways of the Dales with my dog trotting ahead in front. Perfection. Malham Cove is so spectacular, it’s not to be missed if you don’t have long. I’m a fan of the Forbidden Corner too. When it comes to dining, Grassington House never disappoints for award-winning cuisine in comfortable surroundings. Enjoy people-watching over a drink on the terrace overlooking village life in the Square before adjourning to restaurant for a taste of John Rudden’s own home grown rare breed pork with plenty of crackling. Mmmm. Everywhere! It never ceases to take my breath away. A favourite view is the road from Pateley Bridge to Grassington as you top the world at Greenhow on a clear day; especially late afternoon when the colours are at their most rich. Is there a happy detail in everyday life that you enjoy but think many of us miss? All of it! Just being here is an enormous privilege I am so glad I found. There is a stile on Lea Green on my daily walk where I linger to enjoy a panoramic view of the open moorland, Upper Wharfedale valley and Barden Fell. Is there a local person who you think embodies the Yorkshire Dales spirit - and why? Grassington villager John Benson is a character; he’s not afraid of hard work and is instrumental in driving forward many community initiatives. From inspiring Grassington Hub to generously hosting an annual firework display, galvanizing the other traders he works tirelessly and selflessly for the community. Anything else you'd like to tell us that we probably don't know! Grassington has a community funded bus that you can book onto for a pub-crawl up Wharfedale on a Saturday evening!